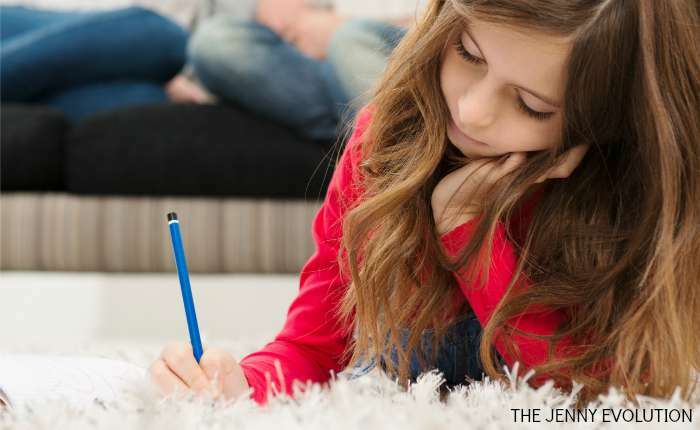 Do you find yourself caught up in a nightly (or daily) struggle over your kids’ homework? Last year we really struggled in our home to not have the daily meltdown. It can be a frustration for everyone, especially if there is a lot of homework or your kids don’t understand it. And matters get even more complicated if kids lie about their homework, saying they don’t have any when they do, or tell you they’ve finished it when they’ve been listening to music in their room for two hours. What’s a Parent to Do? Here are some tips I learned first hand to stop the homework power struggles while trying to get my son to do his homework. While there are no magical fixes, here are four tips for stopping homework power struggles. Remember how you were about homework as a kid – you probably didn’t understand the long-term implications of getting it done (or not getting it done). For most kids, homework is a burdensome inconvenience that keeps them from doing what they want. Period. Lectures aren’t likely to change their minds! Being aware of this is the first step to tackling the homework problem. And hopefully, you can motivate them with the following tips. If you’re trying to get your kids to do their homework right after school or right before dinner, maybe it’s time to reconsider. Ask your child to come up with a time when he (or she) feels most energized and focused – what time is good for him? You may be surprised. He may tell you that he feels too fragmented right after school and needs to regroup, or he might mention that he feels better after dinner. Try to work with your child to come up with a good time for the homework to get done. Once you’ve come up with a good time for homework, schedule it in. Work it into your child’s daily schedule so that he can see where it fits in, and arrange things accordingly. Does your child need to be alone and quiet to concentrate? Try fixing up a quiet corner for him to work, and respect his privacy. Maybe your child prefers music and activity around him to focus. In that case, set up a place where he can be “part of the action” – as long as he doesn’t get distracted. The place where your child does his or her homework should be set up to be a comfortable spot. This can make going to do their homework something to look forward to (almost). Set aside a space where your child has some snacks, drinks, music (if it doesn’t distract), a favorite chair (maybe buy a special chair, like a beanbag chair, for the purpose), and even plants or a place for a favorite pet to join them. If you are short on space, these items can be taken out and set up each day and put away when homework is finished. The point is to make the homework spot a place where your child wants to be. OK. I lied. There are really 5 tips… but this one is a BIGGIE! Many kids throw up a fight when they are really struggling but don’t know how to tell you. If you see your child is throwing a fit every time he has math homework or reading, reach out to his teachers to get the inside scoop if he’s stuck or not progressing. For us, despite the fact the teachers just kept saying my son needed to practice his reading, we knew something bigger was going on. We had our son tested outside of the school and discovered that he has severe dyslexia. We finally began to understand why he was flipping out over homework all the time. We started getting him additional help as well as intervention within school and began to follow these tips to start setting him up for success. As of this year I am officially done with school. Well, my daughter is off to college but homework now lies on her shoulders. When my kids were little they would sit at the table and do homework. No TV, no music. What I loved about that is the older kids would help the younger ones, so it worked out. Getting them into the habit was a struggle because they had to have a gadget or TV going but after a while they started doing it on their own. Thanks for the great tips you shared here. I like the suggstion of letting them choose a time. That will make them feel like they had a say in it too and maybe more inclined to do their homework without the struggle. Passing this on for other parents to read! Hope you’re having a great week. Thanks. This year we’re going to let the kids pick the time they want to do their homework again and put it officially on the calendar… that way we have their buy in! My Daughter is starting Grade 11; she will have all University Math and Sciences. She barely slept last year; with way less intense subjects. I pity the kids these days; you need to be a Genuis. The demands on them are unbelievable. They are cracking under the pressure, what about the ones falling through the cracks. Tons of them are drinking, doing drugs and very promiscuous. I am really quite disgusted at the amount of homework my elementary kids have. When did kids stop being kids? I never had homework until junior high… and actually, studies have shown that homework doesn’t necessarily make kids get ahead either. It’s just more stress (for everyone). Awesome! And I’m glad my tips are going to be helpful… they were certainly hard learned! We’re gearing up for school in a couple of weeks… we start late in the Midwest. NOOOOOOOOO! Not ready to oversee homework again. yup, we’ve got this problem at our house and it will be starting up again soon. Hopefully these tips will help! They will definitely help! I’m not saying homework has been smooth sailing but it has significantly cut down on the meltdowns. You are so right, about all the tips, but especially about tip #5! That’s the first area I address when I notice my children are struggling with wanting to do their homework. I’ve scheduled your post for sharing on my facebook page. Thanks for sharing! I’m always surprised that many parents don’t look into additional issues when their children are struggling so hard. Parents asking me about homework issues. I always like to tell them to include as much movement as possible before and during homework for greater attention and focus. Hope this helps!